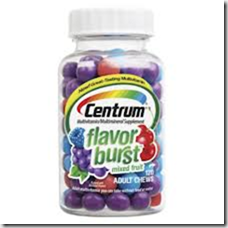 High Vaue Coupons For Centrum Flavor Burst Fruit Chews at Target! 3.Regular price for Centrum Flavor Burst Fruit Chews120 ct $9.99,Final cost $5.99 ! 4.Regular price for Centrum Flavor Burst Fruit Chews 60 ct $7.99,Final cost $3.99 ! High Value Coupon For Glade Expressions Oil Diffuser Starter Kit! BENGAY Vanishing scent for $0.99 at Walgreens!